Ideal for young players just starting out. Group sessions are a little less pressured with a lot more fun! Experience a level of intense tactical training, match specific conditioning and mental preparation. 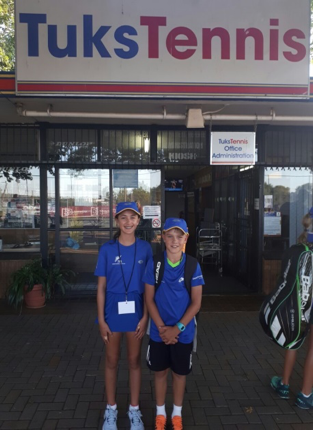 Our qualified coaches are here to help you with every aspect of the game and are geared to bring out the best in every player. We help your kids from a very young age develop their balance, coordination and motor skills while having fun with the ITF Play & Stay method. 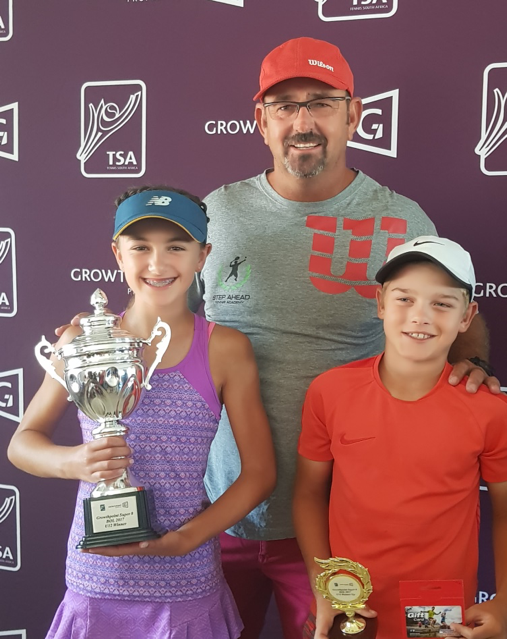 Chosen for SA Jnr Squad – new initiative from SA Tennis for jnr development – sponsored by Growth Point – WELL DONE TO BOTH OF YOU!!!! !